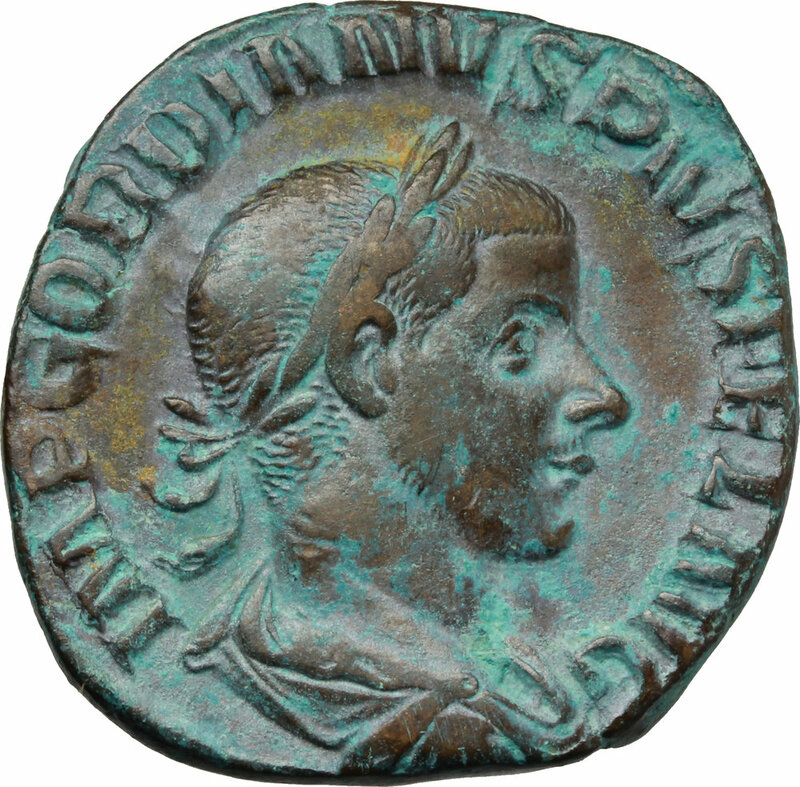 Gordian III (238-244). 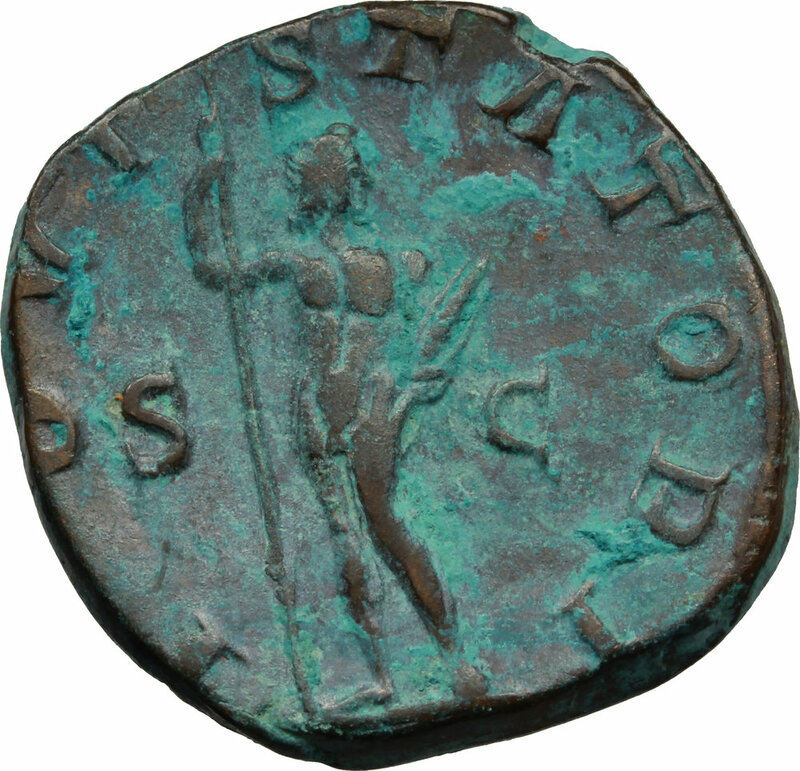 AE Sestertius. Obv. IMP GORDIANVS PIVS FEL AVG. Laureate, draped and cuirassed bust right. Rev. IOVI STATORI SC. Jupiter standing front, head right, holding sceptre and thunderbolt. RIC 298 a. AE. g. 17.68 mm. 29.00 Very nice brown patina with turquoise hues. EF/Good VF.